Learn SEO - Course for Beginners and Intermediate SEO's. Learn SEO, Improve your website, and stay updated. with easy to understand step-by-step instructions. Prefer to hire someone to help with your SEO? 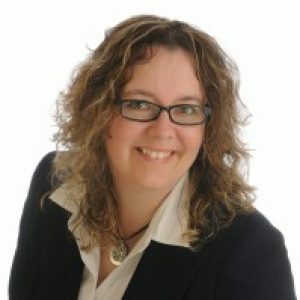 Have Marie Haynes connect you with an SEO professional whom you can trust. Want to learn how to do SEO? Become better than your competitors! Stay updated on important changes! Marie has guided us through the ins and outs of not only SEO, but great website practices in general. She isn't one to rush through decisions and seems to honestly care about our business. Her advice has helped us remain at the top of the search results for years now. and also for established SEO's who want to learn as much about SEO as possible. Every two weeks you will receive a lesson with a thorough, easy to understand tutorial. information and tips for intermediate SEOs as well. that will help you appear higher on Google Searches and comply with Google's Quality Guidelines. Do I need technical experience to take these courses? No! The courses are written with the beginner in mind. Every step will be explained in great detail. There is also a section with each lesson where you can ask questions if something doesn't make sense. Have questions? Check out the FAQ section below. 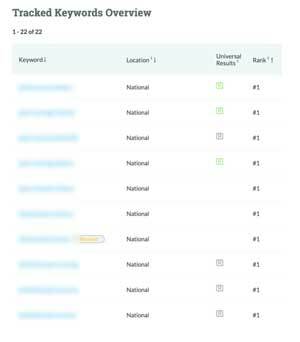 Marie's work took us from ranking nowhere on Google to number 1 for most of our competitive keywords. The majority of our new clients now find us on Google Searches. We had to hire several new staff members to keep up with the demand! to be continually improving your website. People with some decent SEO experience will most benefit from this subscription. (and it's included if you buy the Learn SEO Course), it will have some advanced topics. Occasionally in this newsletter you'll receive a challenge. This newsletter will be extremely valuable and actionable. When I first started working with Marie, my website was getting almost no visitors from Google. She helped me make changes to my site to make it a better site. She also taught me how to get people to link to it. I'm now getting more than 300,000 visitors each month. My income from this site has increased dramatically. Thank you Marie! subscribers of major updates of Google's Panda and Penguin algorithm. How does this newsletter differ from the $18/month version? as challenges, detailed tutorials, and discussions. Thank you so much for considering purchase of my courses or subscription to my newsletters. If you're interested, here is a little bit of information about me and how I can help you. I've been doing SEO since 2008. In 2012 I began doing SEO consulting full time. I had been a veterinarian for over 13 years and although I loved my job, I was MUCH more obsessed with figuring out Google than I was with fixing up pets. I know that seems crazy, but I have absolutely no regrets and love what I do today. If you have heard of me before, you probably know that I am an expert in Google penalties and algorithm changes like Panda and Penguin. I have lifted hundreds of penalties. I've consulted with a huge number of businesses with issues with Google's Panda and Penguin algorithms. If you're interested you can go here to read about case studies and testimonials. I also speak regularly at search engine conferences like Pubcon and SMX. I'm regularly quoted on well known Search Publications such as Search Engine Round Table or The SEM Post. Rand Fishkin, the founder of Moz.com considers me someone with "remarkable SEO expertise" and listed me as one of his top five influencers in the industry. 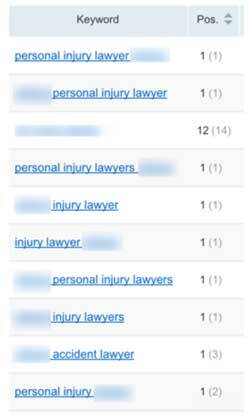 I have also served as an expert SEO witness in a multi-million dollar court case involving a Google penalty. But don't you just do penalties? Since starting my SEO consulting I have been privileged to work with companies of varying sizes. While I found that I could make the most money consulting with the large businesses, I have found that I get the most joy out of helping small business owners with their SEO problems. In the last few years I have done monthly consulting for general SEO with quite a few small businesses. I have seen some incredible successes. 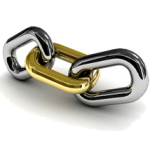 I have run successful SEO campaigns for lawyers, dentists, veterinarians, photographers and many other businesses. I've also worked alongside with some of these businesses in offering coaching. Here's a couple of screenshots from clients of mine. The first is a lawyer who was able to overcome stiff competition. The second is a local small business that was able to outrank some huge players in their city. I love doing this kind of SEO work, but I found that there weren't enough hours in my day! I get requests almost every day for SEO help, but there is a limit to how many clients I can take on. The next logical step really would be for me to hire a team, train them and create an SEO agency. I have had several offers of funding (one of several million dollars) or partnership inquiries from people who have enough faith in me to want to join me in creating an incredible SEO agency. For some reason though, this path doesn't excite me. For years now I have had a dream of creating SEO courses and being able to help thousands of people to improve their search engine rankings. These SEO courses have taken me a LONG time to prepare. I've had people sitting on waiting lists for months asking me if they were ready yet and my response was always, "Soon...I'm working on them." Eventually I realized that in order to produce the courses that I wanted to create, I would have to dedicate 100% of my time to them. I stopped taking all new client work and have been actively working on this content for several months now. These courses will help anyone who wants to improve their websites. However, right now, the people who will get the most out of them are small business owners. Most small businesses can't afford to hire a really good SEO company as the good ones will often charge thousands of dollars per month. My hope is that you, as a small businesses owner can use my course to train yourself or an employee on how to improve your website and get better rankings and more business as a result. I also hope to train up a new generation of SEO professionals who can do good work and still stay within Google's guidelines. Many of the SEO tutorials and courses that you will find online now advocate techniques that contradict Google's Quality Guidelines. Sure, you can often see good results by paying for links or by doing sneaky things like running your own private blog network, but if you get caught by Google, your whole business can suffer immensely. Trust me...I've seen hundreds of businesses who were ruined because they hired an SEO company that tried to use shortcuts and sneaky tactics to trick Google into ranking them higher than their competitors. My goal is to train you to do such a good job at SEO that I can eventually refer SEO work to you! I only refer SEO work to people whom I really trust to do good, honest, Google-compliant work. In the future you'll see more information about my long term plans for this course. I have some verbal agreements with a few large SEO agencies right now who have promised to offer job interviews to anyone who has taken my SEO course. Several of these companies have told me that their biggest problem right now is that they can't hire people who are skilled and understand SEO well. I hope to change that! I also hope to be able to teach you enough that should you wish, you could start your own freelance SEO consulting agency and make good money working from home with yourself as a boss. I'm not doing individual consulting right now. However, I do have a list of individuals and SEO companies whom I trust to do good work. Some of these will also offer hourly consulting if you just need a little bit of help. Fill out this form and I'd be happy to connect you with an SEO Professional whom I'd recommend and trust. What's the difference between the $40 and $18 plans? The $40 LEARN SEO plan is a complete course on SEO. It will cover some very basic tactics but quite quickly gets into more intermediate topics. If you have a small business, run a website or want to offer SEO services to others, this is the course for you. The $18 Search News You Can Use newsletter will give you tips and tricks to implement on your website but it is not a complete course in SEO. Note: If you pay for the $40 plan, you will automatically get the Search News You Can Use newsletter and the regular Google Updates Newsletter as well. Do I need to have technical experience or know programming in order to take this course? No! The Learn SEO course is geared towards beginners. Everything is explained in easy to understand instructions. If you don't understand something there is a discussion section in which you can ask for help. How long does the LEARN SEO course take to complete? At this point, I don't have an end to the course! You'll be sent an email with a new lesson every two weeks. There is so much to learn about SEO that I could conceivably keep sending you valuable and helpful information for a couple of years. However, at any point if you feel that you have learned enough, you can leave the program or downgrade to the $18 per month Search News You Can Use Newsletter. How much time do I need to put into this course in order to learn SEO? Each lesson will have homework assignments. Some of these assignments can be completed quickly. Others may take time to complete. There will also be reading assignments. These are not mandatory, but it is recommended to complete this reading in order to learn as much about SEO as possible. I anticipate that you, or a staff member, can complete each lesson by spending 1-2 hours per week or possibly more for some lessons. How often is the LEARN SEO Course updated? Will it eventually be outdated like most SEO resources? I have committed to doing quarterly reviews of all of the content in my course. If Google makes a change, I'll update the section in my course that applies and I'll let you know about it. My goal is to make this a resource that never gets outdated. Do I need to operate a website in order to learn from this course? It is highly recommended that you have a website to use as your homework/assignment website. Each lesson will give instructions on changes to be made to the website. You can still learn by reading the course material, but you'll probably learn a lot more by implementing the suggested changes yourself. Can I use a friend's website as my practice site? Could I cause harm to the site? It is very unlikely that you will cause harm to a site by implementing changes suggested in this course. However, if you are using a friend's business, please make it very clear that you are learning. You really should be able to help improve their rankings, but there is always a bit of risk involved when you make changes to any site. It's recommended that you make a backup of the site before starting. You will also need access to Google Search Console and Google Analytics for the site. Can I use this course to eventually have a career in SEO? Yes! I have verbal agreements with a few SEO companies who are willing to offer interviews to people who take my course. Also, if you stick with me for long enough and learn enough, you can potentially start a business from home offering SEO services to local businesses. As we get further along in the course, if there is enough interest, I will create modules to help you learn how to get and manage SEO clients. For those of you who learn this content well, I can also probably send you clients to work with as I get many requests each week for recommendations for good SEO providers. Can I get all of the lessons now? I want to work at a faster pace than one lesson every two weeks. Not yet. At this point I am still creating course content as we go along. Once I have enough content, I may eventually sell these courses as a full package rather than via email subscription. What if I have questions? Is there any consultation or extra help that comes with this course? For each lesson there is a discussion session. You'll be able to ask as many questions as you like in this section provided that they relate to the content of that lesson. If you have further questions, I am happy to connect you with an SEO professional whom I trust to give you excellent help. Most of these providers work for a reasonable hourly rate. I wish that I could offer one on one coaching. There are unfortunately not enough hours in the day for me to consult individually. Do you know everything about SEO? How can one person teach an entire course on SEO? Nope. I don't know everything about SEO. But I do know a lot. There will be places in the course where I may say something like this: "No one knows for sure if this is the best technique, but the general consensus is to do this...". There will likely also be places where I change my teachings as new information becomes available. As a course subscriber, you'll be updated when this happens. SEO is a field where there can be many different beliefs on how to get things done. What I can promise you is that I'll give you the most accurate information that I can. I can't afford $40 per month, do you have options for me? I would like it to be possible for everyone who has a strong desire to learn SEO to be able to take this course. If you truly can't afford the $40 per month price tag, then contact me and explain your situation to me. I have reserved a certain number of licenses each month to be offered at a discount for people who are eager to learn but have financial hardship.